Serve as the owner’s full time primary residence, as verified by receiving the County’s 4% tax exemption for owner-occupied property. - While the host does not have to be present for the complete duration of their guests’ stay, they must be “generally available” and sleep overnight at the property whenever it is being rented. Contain a third parking space for the additional STR use. If the property contains multiple Dwelling Units, each must have adequate legal parking in addition to the one required STR space. - Floor plans drawn to scale of the habitable structures on the property that clearly designate all rooms to be used by STR guests, and the specific room or rooms to be used by guests for sleeping. Floor plans are not required to be drawn by a design professional. - For examples of basic floor plan examples, click here. First you must complete the CAP Account authorization form. 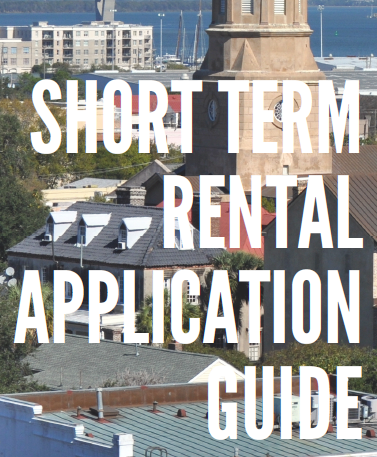 When completing the form please use "Home Owner Short Term Rental" as the Primary Type of CAP Account Requested. Once you submit the form you will be directed to the Customer Access Portal page to register for an account. Application materials are being prepared and will be released shortly before July 10. NOTE: If applying online use the Internet Explorer internet browser and remember to upload the appropriate attachments before submitting your application. Failing to do so can slow down the review process for your application. Please see our Permit Submission User Guide for step by step instructions on how to apply online. Did you know? You can search for active permits using the permit search option on the CitizenAccess Portal. You can search by address or permit type. STR permits are categorized as operational permits.